Coomers is an independent builders' merchant supplying both the trade and general public. Our Alton branch has ample free parking and full disabled access via a lift to the bathroom showroom on the first floor. 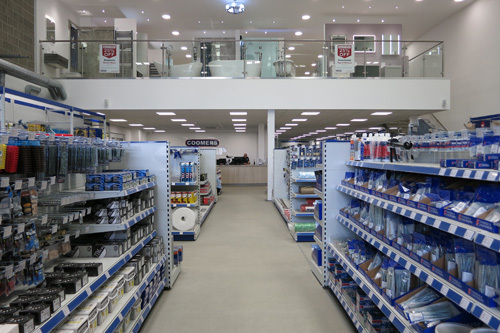 You'll find timber, building materials, landscaping and fencing, tools, paint, doors, plus much more in-store. Whilst upstairs there's a stunning bathroom showroom - supplying baths and showers from many of the major brands - plus taps, furniture, radiators, cabinets, and tiles. 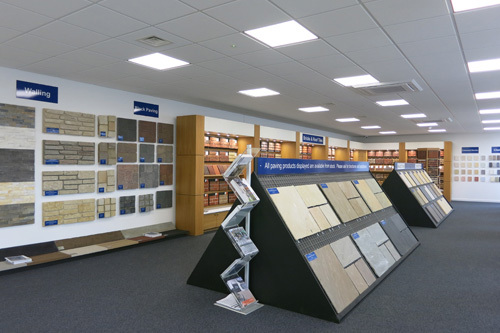 If you're looking to match bricks, we have a vast number of samples from the leading manufacturers on display in our showroom. We're open 7am - 5pm weekdays, and 8am - 1pm on Saturdays. Call in to see us at Waterbrook Road (just off Mill Lane) or shop for your favourite products online. Delivery is free in the local area on orders over £100 inc VAT. If you're looking for kitchens, our Bordon branch - just 8 miles away - has an award-winning kitchen showroom.